I’m the mom who begs for an end to the goody bag indulgence, rolls her eyes when the other moms send their children to school with individual bags of treats for Halloween and keeps birthday parties small. But when it comes to Valentine’s Day, I temporarily lose my mind. 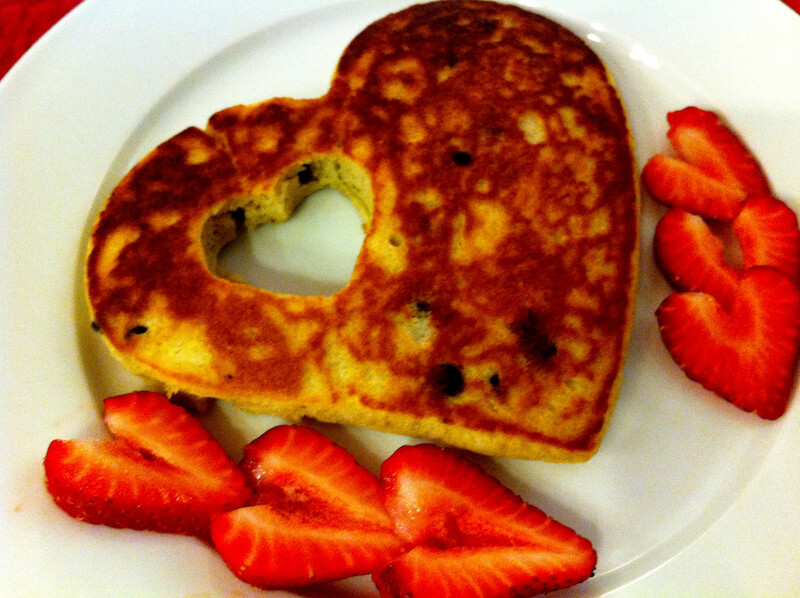 When it comes to things pink and heart shaped that celebrate love? Well, I have no willpower. We found our paper straws at Sur la Table, but you can also order them from Amazon. 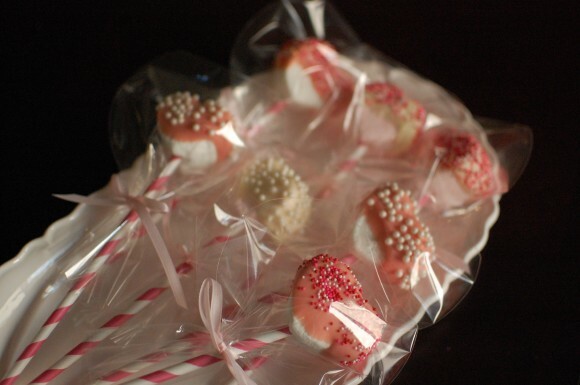 Prepare your work station with your bag of marshmallows, paper straws, a piece of parchment paper and a sharp knife. Cut a slit in the bottom of the marshmallow, insert roughly an inch of the paper straw into the hole and place on the parchment paper. Repeat until you’ve completed all marshmallows. Place your marshmallows into the freezer for a minimum of 20 minutes. This is when you gather up the kids and let them get creative! 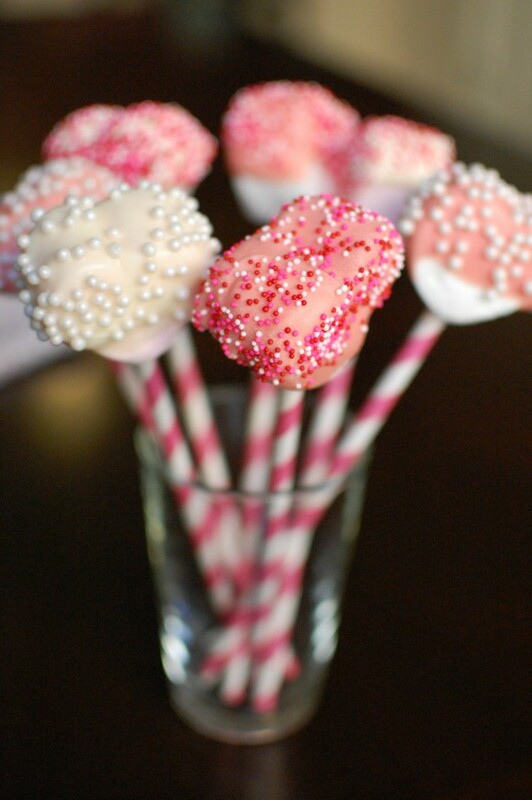 Dip your frozen marshmallow pops into the melted chocolate and allow the excess to drip off. Working quickly, sprinkle on your favorite toppings. 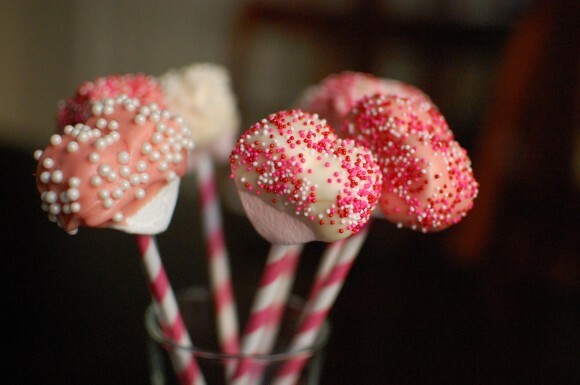 The frozen marshmallows will help the chocolate to set quickly. Since we’re sending these off to school with Katie, we wrapped them in small plastic bags and secured with a piece of pink ribbon. They’ll accompany the store-bought valentines I bought because… well… let’s not go overboard here! Valentine’s Day is one of my favorite holidays. Love, chocolate, adoration? What’s not to love? 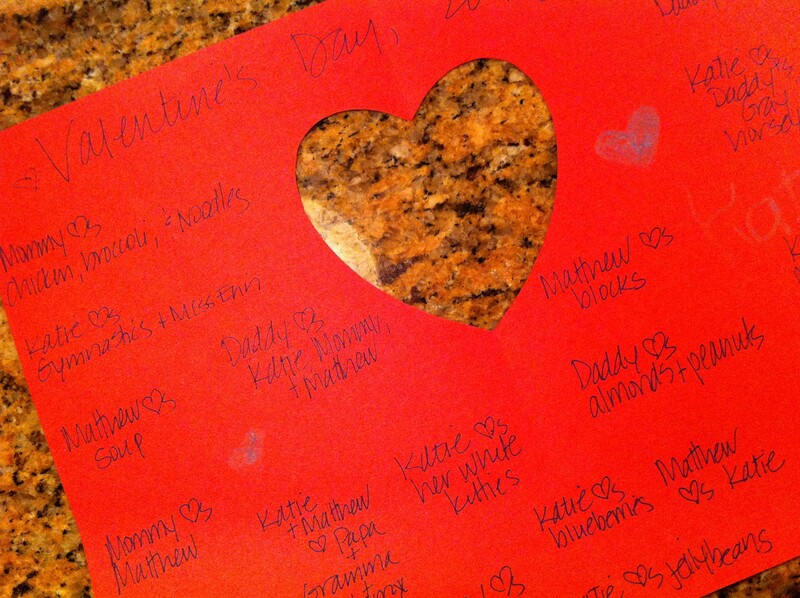 But, now that Katie and Matthew have filled our world, Valentine’s Day means so much more than that. The material things just cease to matter. What does love mean to children?